Bank of the West is a diversified financial services holding company, It is a subsidiary of BNP Paribas. It is a financially strong, well capitalized and prudently managed insured bank that is providing services to their customer since 135 years. The Bank of the West app provides secure access to your accounts, allowing you to manage your finances from virtually anywhere. 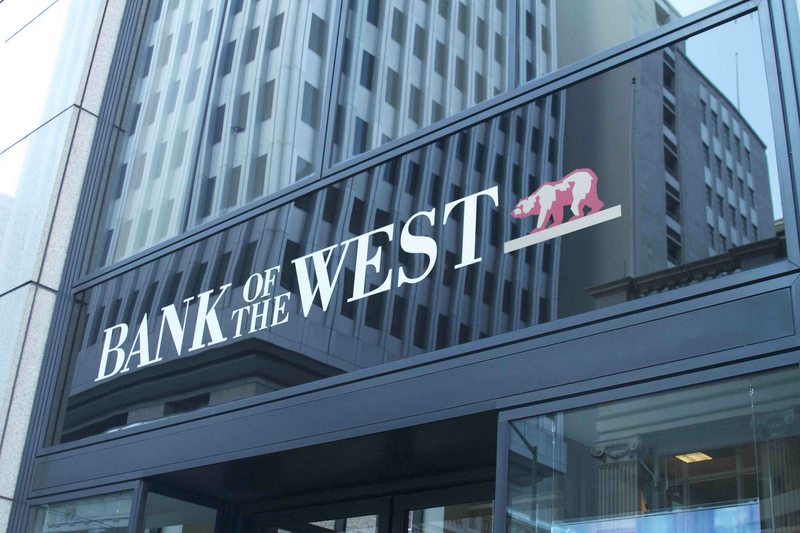 If you have a compliant and need to contact the corporate headquarters for Bank of the West, they are located at 180 Montgomery Street, San Francisco. The company operates from many parts of country with major support centers across Omaha, Denver, Greater Los Angeles and Honolulu. For problems with Bank employees or management, direct your feedback to Nandita Bakshi, Chairman & CEO of the company. He has a crucial part in every single operations, and the team is just a call away. The company offers their application download through play stores which can be downloaded on your handset and make your banking easy. The phone number for Bank of the West customer service is 1-877-898-1003. Hours of operation are from Monday to Friday at 6am-5pm. For Client Access and Support you can drop in your details on the website and get a callback in 24 hours or less. Bank of the West offers Loans and Credit card which makes your life easy. Loans include Home loans, Mortgage, Personal Loans, Car Loans and Boat Loans as well to choose from, and the credit cards offers you with rewards point as well which you can redeem and earn loyalty as well. Bank is offering you of reward bonus of nearly $1,000 with their premium checking account across their branches. I filed a complaint to Consumer Protection Unit in County of Santa Clara about the return check issue. But Bank of the West provided false statements in the reply. "On March 5, 2019, Mr. Cheung spoke with Tina Martinez, Regional Manager/Senior Vice President, regarding the returned item and his interactions with the branch personnel. Ms. Martinez also advised Mr. Cheung that the Bank would not refund the returned item to his account." However, I never discussed "return item" with Tina Martinez. In the letter, Bank of the West wrote "If Mr. Cheung should have any other questions or concerns, please have him contact Ms. Martinez at (510)921-1271, Monday through Friday, during normal business hours." When I contacted Tina Martinez, she didn't know anything about that letter. She didn't want to discuss with me and asked someone with the phone number 650-343-2792 to call me. But that person didn't understand the situation and argued with me about that letter. Because San Jose Main Branch is moving and has no safety deposit boxes available at their new location, I was sent a letter stating I was required to take the contents of my 2 existing safety deposit boxes and move them to another Bank of the West location. Today I went into the San Jose Main Branch where my safety deposit boxes are located arriving at 10:45 AM this morning and spoke to a representative named Beatriz. She was very helpful in getting both of my boxes closed. She also helped me by checking with the Civic Center Branch in San Jose and the Hamilton Avenue/ Meridian Branch in San Jose to see if they had any boxes available. Beatriz first confirmed with Hamilton Avenue Branch who said they had a 10 x 10 box available. She informed them I was coming. I emptied the contents of both boxes and was coming with two large heavy bags of documents. I'm 70 1/2 years old, 105 lbs dragging bags of documents into the Hamilton Ave. Branch. When I got there, the representative who met me was not only making me feel like he was being imposed upon by my presence and my request, he was telling me that although Beatriz from the Main Branch had called to say I was coming, there was no one there available who could help me. The managers went to lunch. He said I could wait an hour or could enjoy myself by walking around the area with lots of things to do. REALLY!? I took my load of documents back to my car and called Beatriz again. She called the Civic Center Branch because she had information they might have a 10X10 box for me to rent. No one there responded to her inquiries. This was now 12:00 + PM. No one answering. Beatriz called me back saying the Civic Center had a 10X10 box for me and she had left a message for Patty to call me back. Patty called me back at 1:30 pm. I told her I had all my documents and was leaving to go out of town the next day. I wanted to come by to open a new safety deposit box. She said "oh, I'm leaving for lunch now....how about tomorrow at 9 a.m.".... REALLY!? I told her again I was leaving the next day and needed to deposit my documents today. She was silent. I had to say, "how about today in an hour after you come back from Lunch...2:30 PM. ?" She said "okay". I arrived at the Civic Center Branch at 2:30 PM. There was a long line at the counters, with only two tellers working, Patty was nowhere to be seen. I asked someone in the back desk area for her and she said I would just have to wait my turn. I said I had an appointment with Patty. One of the staff said Patty was on the phone. She finally came out and asked me to fill out a bank safety deposit request document, which I did. Patty said she had to input the information into the system to create a signature card. I waited for 45 minutes for her to input the information to create the signature card. I was finally issued a box number and allowed into the vault area carrying my heavy load of documents, my purse and jacket. Never did she offer a place for me to put down my purse, jacket and documents so I could have my hands free to carry out the large 10 x 10 safety deposit box. Turns out that place was just outside the vault, still in the secured area, but in the area set aside for clients to go through the contents of their boxes. I have never been in that area before, nor was I was directed or informed of the area to put my belongings so I would not be burdened with them as I handled the big 10X10 box. Patty seemed to be very put out by my very presence there. I felt like I had ruined her afternoon plans, she did not have time for me and she did not care that she was making me feel uncomfortable, not to mention in pain from having to lug my belongings and the large 10X10 safety deposit box at the same time. It was a very long day for me at Bank of the West. I was not able to finish my transfer of documents until after 4:30 PM. I was exhausted and my whole experience, except for the morning box closures with Beatriz, was extremely negative ... so bad that if I never had ever to wait this long, since establishing an account with Bank of the West in the late 1960s. This terrible customer treatment was so insulting I was almost tempted to withdraw all of our money (over $700,000) and deposit it in another bank that treats their customers with some decency and respect. Furthermore, when I originally opened my bank account many years ago, it came with a free safety deposit box which I have maintained at the Main Branch over these years. Now that Bank of the West Main Branch is closing, and relocating to another location with no safety deposit box vault, I am informed that my long-term contractual agreement with Bank of the West is no longer being honored and cannot be applied or prorated to any other safety deposit box agreement. I was already very inconvenienced with the San Jose Main Branch by closing and requesting me and my husband to relocate both of our safety deposit boxes, losing the long standing "free safety deposit box" for life deal...etc. This horrible customer service experience just added insult to injury!!!!!!!! Beatriz at the San Jose Main Branch is the only person who took the time and gave me exceptional customer service. The representatives at Hamilton Avenue and Civic Center Branches were way below standard at best. After waiting on hold for 30 minutes, the costumer service person hung up right after picking up the phone. They didn't even say a word. I knew they picked up the phone because I could hear the sound a computer makes when it receives an email. Very disappointed. 1. I opened a CD #049435654 on 10/10/2017 by Deanna O. However the paper I signed 2% interest rate, the paper I got 1.45% interest rate. I am asking your investigation, it is regarding the reputation of Bank of the West. 2. The mail code is paper & electronic. But I did not receive mature notice either paper or electronic. Please investigate. 3. The renewal notice date was two days after mature date, 8 days before grace period date. The notice did not show new rate .12%. It is not legally correct. 4. The available choice from the end of October till now, 14 mo CD with 2.36% rate I did not get. I got 12 mo CD with .12% rate. The original CD was 13 months. Why? 5. I am a long time customer with Bank of the West and the banks before Bank of the West over around 40 years. I have good relationship with the different branches of Bank of the West in Alhambra except the newly established office on Main and Garfield. I lost my confidence and trust by the dishonest ways to the cheat client. It should be STOPPED NOW. 6. I hope Bank of West can correct their mistakes. Anyway, most branches and employees of Bank of the West are great and helpful. I like to keep good relationship with you. A little over two years ago I opened a Bank of the West 12 month CD at a promotional rate. At the end of the year the Bank of the West was offering another promotional rate which I thought I would receive - the bank doesn't reveal the new rate until after it rolls over. I waited a few days beyond the grace period before I phoned and asked about the new rate. My rate was one tenth of my previous rate and the promotional they were offering. I said I would close the account. OK, I was told but it would cost me 3% of the amount of the CD. This was very upsetting but partially my fault for assuming Bank of the West would charge 3 months interest like other banks I've dealt with. I decided it was better to deal with the loss of interest for a year than take a very large loss in my principal. This year I carefully watched the CD's expiration date and a couple of weeks before began to make contact with the banks headquarters through the internet and by phone to insure the CD would not roll over for a new term. After contacting several bank representatives, I was told I had to contact the branch where my CD was held during the grace period. I was booked on a 15 day cruise starting the day the CD matured but I called the branch on that day and spoke to someone who said he was the manager. I told him I didn't want the CD to roll over and asked him to transfer the amount into my checking account. I told him I had an internet account and would be willing to use it to stop the rollover, that the money could go into any other type of account as long as it wasn't a term account. He said the only way that could be done was if I sent a notarized letter during the grace period. I explained my situation, that I was at the airport leaving for 15 days without access to a notary in the US. I told him I had never run into a situation like this with any other bank I had dealt with including the US Treasury; that they already had all my security information from the internet account. He was totally unsympathetic and unyielding. So now I have two choices: another year at one quarter percent interest or pay Bank of the West an amount of money greater than i would earn in three years interest. Where is the fairness one expects of a bank? I have been trying for 3 hours to get information on my boat loan. They say I can only talk to one person and this person will not answer her phone nor return my calls. This bank is disgusting. I wish I had never used them. I wouldn’t have if I had read the reviews online. Poor customer service/attitude at the Lockford California Branch. I have been a Bank of the West customer since 1976. I moved from the Bay Area to Valley Springs, California about 3.5 years ago and have been using the Lockford Branch for my checking account.. About 2 or 3 times I deposit a $20,000 or larger check from Morgan Stanley into my account. Most times there is no hold put on the check but today I deposited a $44,000 from Morgan Stanley. I was told that I could only get $100 now and that I had to wait until Tuesday April 17th for the first $5000 to be available and until April 24th for the remaining $39,000 to clear. I told the bank teller and supervisor that there is an extensive history of me depositing Morgan Stanley checks which they verified. I was told that they had to still put the check on hold as I didn't have solid enough relations with their branch and that maybe I should contact my original San Jose, California branch. I live 2.5 hours from San Jose. I told them that in the past they had put the Morgan Stanley checks through without any hold but they didn't care about that. They had basically a "tough sh-t" attitude. The problem is that I really need those funds by April 21. I don't believe me writing this e-mail will change anything but had to write it anyway. So much for being a Bank of the West customer for 40 years! I have an account in Winslow, Arizona. I am now living in Honolulu, due to my wife's cancer treatment at Queens Hosptal. I cannot change my mailing address to here,, I cannot do anything on line. EVerything I try to do is demanding that I appear in person. It's a hell of a long ways from Honolulu to Winslow Arizona to appear in Person. I'be been able to log into all my other accounts, Wells Fargo, Charles Schwab, TD Ameritrade, etc; with no problems. What do I do? I registered a durable power of attorney with the Enid branch.since my mom has dementia, they did not put me in there system..even though I have signed finatial agreement for her. I called took a hour and a half to try and tell them to freeze a account because there was charges on it that did not belong there.finally I talked to a supervisor instead of freezing a account she closed it. Her name was Jill # 48718. How frustrating and how pathetic that this business chooses to help crooks out! And potentially loose a customer/s of nearly 10 years. Failure of your lien release dept. to do their job efficiently. Why should Owen Michel be allowed to tell me that account is paid in full September 29 date of letter is October 12 and in the letter he informs me that I'll receive collateral within aprox. 10 business days. We call a lien release, collateral? People need releases so they can process titles and you as a supposed bank should appreciate that. The acct last 4 is xxxxx0759 Debbie J Schech. In your file she has authorized the release to be sent to me. William L Snyder 1327 Dillon Heights Ave Catonsville Md 21228 my 1st impression of your bank is not good. Thanks for resolving this in a prompt manner. I have been a customer with 3 accounts for the past 25+ years. Business ,Personal and my mom's estate.Over these these years I have never been charged for a notary. I went 9/25 for a notary and was informed it was $5.00. The new branch manager -Stephanie M Vigil - who had me wait - thanked me for my patience. We sat down and she told me of the charge and I said I have never been charged before and she replied that I should have been. She was cold,not friendly or talkative. Maybe she is ailing as she looks like it..Today 9/27 a new teller told me about the charge.I attested and she backed off. Notary charges for long time customers ?? i had fraud on one of my accounts. It went as far back as Dec 2015. Which I didn't notice because it was only once a month. And i did buy things over the internet so without thinking I didn't question. Until one day I notice that it was more than once a month and the payments were the same amount of dollars but different in the cents. So i filled out a form with all of those payments I didn't make. I knew the bank wasn't going to credit my account for all because they only went back 60 days. If I would have thought that putting down all the wrong transactions that were made was going to not get the 60 days of wrong transactions credited to my account. I should of only wrote the wrong transactions that occurred in the 60 day time limit. Because now they won't pay any of it because it could have been prevented if I had notice it way back when. Which if I only did the 60 days they would have never known and paid those. I didn't know this was happening way back when. Or something would have been said. So I don't feel it was my fault. They said they would go back 60 days but they didn't. because there were more before that. So they decide not to pay any. Thats just wrong! I am closing my accounts because I don't want anything to do with banks that don't do what they say they will do. They are always looking for a way out. They didn't have my back when they said they would. instead made it my fault and didn't pay any. I don't know what can be done if anything to make them at least pay the few that were in the 6o days period. Not sure what this complaint will do. If they don't make it right this won't be the only complaint i write. I have other complaints that I think the public needs to know about. I will see that they do hear them all. My attorney submitted a Declaration of Lost Cashier's Check form vetted and correctly completed, this is the fourth form I have submitted to Bank of the West to reclaim my lost 5,000 cashier's check. The bank has been using a stall tactic each time. This time it was the quality of the form. I was not surprised to see the low rating for Bank of the West customer service given this institution on this site. I hope I am not forced to go to suit as I live on a Pacific Island and lost the instrument in transit over five months ago. I give them one star. This bank has a thief system, charging you any fees that they want. I opened a saving account, was told that i can make only 6 transfers a month, if i go other. I will not be allowed to transfer anymore. They didn't mention any charge of fees. That charged 75$ and I need my money back. I have closed my account because of it. I feel robbed by giving me the wrong information. I contacted Bank of the West customer service on May 2nd and May 3rd leaving messages to make payment to catch up the back payments missed. I received no calls back. I spoke to the local branch bank and they said their systems had been down and someone would call as soon as possible. So I waited. I was behind a couple of months on payments and had gotten the money together to catch up. On May 4th my car was repossessed. I called on May 5th to inquire and was finally was sent to speak with Ms. Jennifer Shipe. After the initial name, address given, I asked if the bank had my car and if they did why didn’t they call me back when I called and left messages. She verified the car was in the possession of the repo company but stated they had no record of my calls or messages. I explained to her I had and gave her the number I called, date and time, I did not recall the person’s name on the recording but it sounded like the same person I had called and spoke to before. Ms Shipe immediately began verbally attacking, chastising and badgering me because as she put it "I didn't do enough to take care of the problem" I reminded her that indeed I had called and I had the phone records where I had called, she insisted that I hadn't called nor did I leave a message. I asked her to pull the records and recordings and she said she would have her supervisor do just that and began spouting out phone numbers that had been used to check or verify that I had called and none of them were any numbers on file of mine and when I gave her the 3 numbers to check again she said nothing was going to show up because I did not call. I do not want the repossession to hit my credit report. I feel Ms Shipe needs to be trained or retrained in customer support/service and manners. I told Ms Shipe I did not want this to hit my credit report and she said with an attitude "oh it's gonna hit it" and I asked since I had made attempts to pay before the repossession occurred and will be making up the back payments in full, could it be pulled back and she said emphatically NO. I take full responsibility for my actions and have taken care of the back payments as instructed to get my car back. To date, May 16th, I have not heard from anyone at bank of the west and would appreciate someone calling to straighten this thing out without having to go to court. My credit has been affected enough by the late pays and would be totally devastated if a repossession were to hit as well. My records show I made attempts before the repossession occurred and I feel it’s only fair that Bank of the West honor as I am only trying to do things cordially without formal legal action. I am prepared to take legal action, should it go that far, and undoubtedly will win as my records are indisputable. That coupled with the disdainful and malicious attitude from Ms Shipe at not wanting to investigate or help with the matter but determine her own level of Justus, I feel gives me reason for sending you this letter. I am requesting someone from Bank of The West who has the authority to help resolve this issue, please call me at (580) 559-6176 at their earliest convenience. Filed a dispute at Bank of the West against unauthorized charges on my debit card which we're denied. Upon calling to inquire as to the basis of denial due to the fact that my entire wallet was stolen and the claim was filed with all necessary information at the branch. The statement i received stated insufficient information received so the claim was denied. The person whom my case was assigned to was very rude and information that was used to determine decision for claim denied was incorrect, as i attempted to explain the misunderstanding she immediately began to argue that the information was not incorrect and even strongly implemented that i had fraudulently claimed charges that were mine as if they weren't! Continued to argue that it was my responsibility to make sure certain information was correct prior to claim being filled, disregarding the facts. Mrs. Gamu even went so far as to inform me that even if i corrected the errors that she would still be the one handling my claim. 0 stars. Bank of the West customer service department made me wait forever with my 6 month old daughter to open an account. I was the first person there. 8 other families went ahead of me and I still didn't get to open an account. Next time I am going somewhere else and you can tell the corporate office they can expect many more complaints in the future from angry members of your bank. I found it very difficult to do my online transactions as I didnât find trust worthy bank and at last Bank of the West made my life easier. Thank you Bank of the West for giving me the best online banking services on my finger tips. 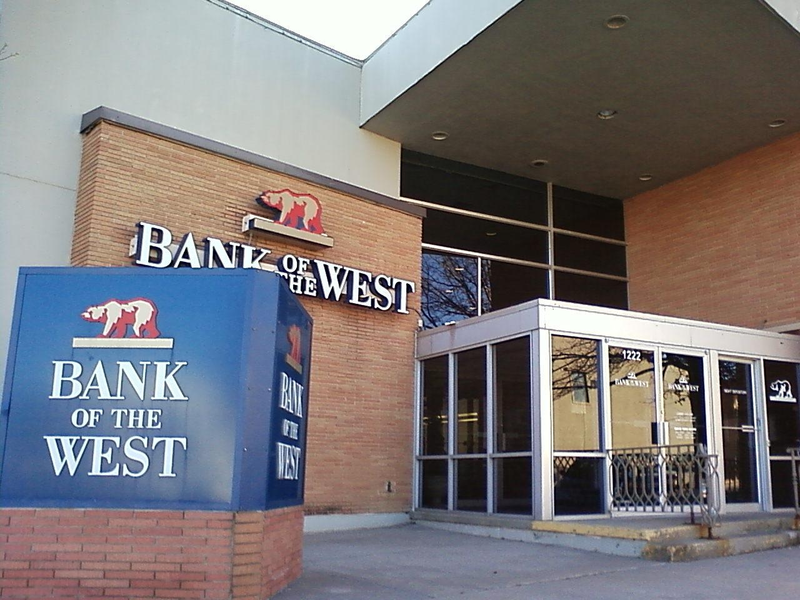 Bank of the West is now trending and secured banking organization for your financial transactions. eCorp Banking facility is one point of all your banking transactions avoiding hacking risks. 24*7 customer support, mobile banking, remote deposit caputre,merchant services, debit & credit card are the various services available for both individuals and employers. I recommend Bank of the West strongly for your best financial transactions. My husband and I decided to sell our trailer 4 months ago. We got a buyer and called the bank to find out if it would be more expedient to do a transfer via the banks or pay off our trailer and get the pink slip and complete the transaction. We were advised to pay off the trailer, which we did 3 months ago. We waited for a month for our pink slip/title....and it never came. We called bank of the west and explained the situation and were told that a "Rush request" would be placed that day. We waited another 3 weeks.....still no title. We called again 3 weeks ago and after almost another hour on the phone and multiple transfers, we finally spoke with"Katy", apparently a "manager". We were told that the "rush request" was never made. Stated that although we had updated our address with bank of the west that bank of the west never updated our address with the California DMV. Additionally, since we live In Oregon and our mailing address was a PO box, that California DMV would not mail the title to us here anyway. Funny , not, how none of their other representatives that we spoke to ever appraised us of this, nor did anyone ever correct the mistake. Katy, at that time stated that she would email the DMV, request the title be sent directly to her and then she would forward the title to our mailing address. Now... 3 weeks later, still no title. My husband called again today and spoke with "Katy" (her phone number is 402-918-7378). She said that she has never heard back from the DMV and additionally she never followed up on this over the last several weeks. I called and left her a message and never received a call back. My husband called twice with additional questions and did not receive a call back from those messages either. Our buyer states that if we don't have the pink slip in the next week that they are going to rescind their offer. Bank of the west and their irresponsible representatives as well as poor customer service have cost us time, stress, money, interest and frustration. We paid off our trailer, have called repeatedly And still have no title 3 months later. Their organization sure would have no problem charging us late fees, interest, etc if we did not get something to you.... But now that we need something fro you.....NOTHING! We want our title. We have waited long enough. Get us our title Bank of the West! Have feedback for Bank of the West?